Finding the right Master's of Business Administration (MBA) program can be an arduous task. The following list of 50 of the top-ranked schools should help narrow down the choices and give interested students a concise overview of what each program offers. Keep in mind that while rankings do hold some import in the working world, finding the best fit in terms of class size, job placement opportunities, cost versus financial assistance and other more personally relevant characteristics is important as well. 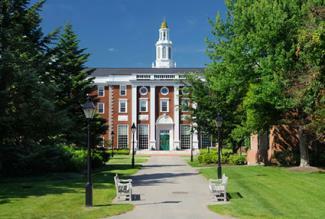 Experts vary somewhat on their top-ranked choices, but the primary top two contenders are consistently Harvard University and Standford University. U. S. News and World Report touts Standford as the country's top business program, while other experts, like Bloomberg Business, say that Harvard wins hands-down. The Stanford University Graduate School of Business, located in Standford, California, boasts three Nobel laureates among its faculty as well as a number of others with prestigious awards. There are 74 full professors teaching in the program, with a small enrollment of 825 students for the 2015-16 academic year. The tuition is $64,050, but about 77 percent of Stanford MBA students receive financial aid. The MBA program is offered on a full-time basis only, with no evening or summer courses available. However, they do provide some unique academic experiences by allowing students to complete short courses that give them hands-on work experience in the Silicon Valley. Additionally, they offer several joint MBA degrees so that students can specialize in particular areas of interest like law or computer science. Harvard University Business School, located in Boston, Massachusetts, admits just under 1,000 students of the more than 9,000 who apply each year. About 40 percent are women and another 25 percent represent ethnic minorities. Their tuition is $61,225 and about 65 percent of their students receive some form of financial assistance. Their graduates earn an average of $130,000 upon graduation and many receive signing bonuses that average about $25,000 as well. Harvard also offers dual degree opportunities, and they endorse the Case Method of teaching, which combines theoretical and practical business applications throughout the program. Through this method, students are encouraged to develop strong skills in analysis, leadership and decision-making. As with the top two contenders, there is some disparity among the experts about who else belongs in the top five rankings. Most lists, however, include the University of Chicago, the University of Pennsylvania and Columbia University. Unlike Stanford and Harvard, The Booth School of Business at Chicago University offers both full and part-time MBA programs, with opportunities to attend them via traditional day classes or through an evening or weekend program. Tuition is almost $64,000 for the full-time program. While they do not offer need-based financial assistance, they do provide merit-based scholarships and fellowships, in addition to federal student loans. Graduates earn an average of $113,000 upon completion of the program and 65 percent earn an average signing bonus of $27,000. The Wharton School of Business in Philadelphia, Pennsylvania, is a full-time program enrolling approximately 800 students each year. Tuition is $70,870, and Wharton offers both scholarships and fellowships to help students finance their educations. Student loans are also available. Graduates earn an average of $125,000 and additional funds through signing bonuses, year-end bonuses and tuition reimbursement. In addition to their regular MBA program, The Wharton School of Business offers working professionals the opportunity to complete their Executive MBA program on a part-time basis. They have two campuses; their home campus in Philadelphia, and a remote campus in San Francisco. That program meets every other Friday and Saturday for two years, and offers the same excellent business training and access to top faculty, just as the full-time program does. Although some rankings place Columbia University Business School as low as eight on their list, on the Top Management Degrees website, it ranks fifth and FindMBA.com ranks it number one. Their full-time program is selective and offers students the opportunity to earn a dual degree in an array of academic disciplines, including law, social work, nursing and medicine. In addition to the full-time MBA, Columbia also offers an executive MBA for working professionals. The campus is urban, located in Manhattan in New York City. There are several Nobel Prize winners among the faculty. Columbia enrolls approximately 1,200 students per year and their tuition is a little more than $63,000, but like the other institutions of this caliber, Columbia provides merit-based scholarships, fellowships and student loans. Approximately 97 percent of their graduates receive job offers upon completion of the program, with an average salary of more than $116,000. Although the five top-ranked schools are all excellent choices, there are many other academically satisfying opportunities for students all across the country as well. Admissions criteria are fairly rigorous in any MBA program, but the top contenders are very selective and also represent a significant financial investment. Fortunately, there are many other fine schools that have similar, if not equal, Master's of Business Administration programs. The following list has been compiled from a variety of ranking sources, including U. S. News and World Report, Top Management Degrees, FindMBA.com and Bloomberg.com. The Northeast contains some of the oldest and most traditional colleges in the country. This region is the richest in the nation and has a very diverse population of people, largely due to the broad range of culturally diverse inhabitants of New York City. The Sloan School of Management at the Massachusetts Institute of Technology combines innovative ideas and theory with a hands-on approach to learning in order to offer their students a unique and challenging curriculum. The program combines lectures, in-depth case studies and team projects to create an atmosphere of active learning, which sets them apart from other MBA programs. The Tuck School of Business at Dartmouth College in Hanover, New Hampshire is one of the smaller programs; the class of 2017 includes 286 students. However, their program is academically rigorous and provides students the opportunity for global and experiential learning, research and independent study. Of the class members of 2015, 99 percent were employed within three months of graduation. The Samuel Curtis Johnson Graduate School of Management at Cornell University in Ithaca, New York is a great choice for those students who have already earned an advanced degree in another discipline because they offer a one-year MBA that provides students with the same academic challenges as their two-year MBA program. The one-year program offers a two-week summer intensive, a semester-long practicum experience and a choice of electives that reflect the needs of various business niches. The Rutgers Business School in Newark, New Jersey offers both full- and part-time MBA programs for their students, as well as the opportunity to pursue a dual degree in collaboration with other nearby universities. They promise to deliver an innovative curriculum with hands-on, real-world experience and host of concentrations such as analytics and information management, global business or pharmaceutical management. The Tepper School of Business at Carnegie-Mellon University offers a unique combination of options for completing their MBA. Students can attend the tradition, full-time program on their Pittsburg, Pennsylvania campus, or elect to attend a part-time on campus or hybrid online program. Though the formats are designed to meet the unique needs of the student body, the program, standards and professors are the same for each of them. The Stern School of Business at City University of New York provides a number of MBA options, including a traditional full-time program, an executive MBA option and part-time programs for working professionals in two locations: Manhattan and Westchester. They also offer students a plethora of dual degree options including law, medicine and fine arts. The Yale School of Management, situated in New Haven, Connecticut, uses the 'Raw' Case Approach in their curriculum. This method allows students the opportunity to explore and manage extensive amounts of data in order to learn to think broadly. Students form teams in order to complete tasks, emulating a real-world business approach to task management and problem resolution. The Smeal College of Business at Pennsylvania State University is a traditional, two-year, on campus MBA program that offers students joint-degree opportunities and partnerships with organizations that offer creative ways to finance their educations, as well as other benefits. They also guide each of their students through their own personal career strategy throughout the program, so that graduates achieve their employment goals. The School of Business at The University of Connecticut MBA is a full-time program that has revamped its curriculum to focus on career-centric coursework. They are one of the few programs that mandate a class on sustainability in the global business environment. The Zicklin School of Business at the City University of New York offers both a full-time and a flexible MBA program. The flexible program is designed to meet the needs of working professionals and offers 16 different majors, including innovative offerings in decision sciences, industrial/organization psychology and many others. The flexible program allows a student to take as many or as few courses as they like, and is the only program of this type in NYC. Fordham University's Gabelli School of Business offers three MBA formats for students to choose from. In addition to the traditional full-time program, Gabelli offers both a professional and an executive MBA on a full- or part-time basis on their New York City campus. The professional MBA offers seven different MBA concentrations. The executive MBA is for more seasoned professionals who have at least seven years of work history and want to develop a focus in management and strategy. The Questrom School of Business at Boston University offers its students a host of different MBA programs, including an evening option, an executive option and a traditional, on campus option. The two-year campus program assigns students to a cohort of 50-55 students who will work together on projects and coursework throughout the program. 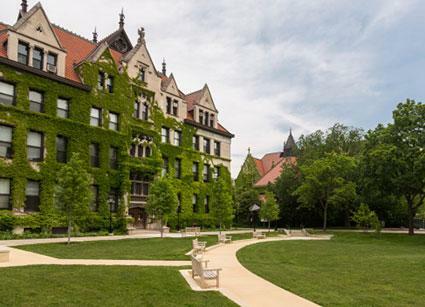 The Midwest region boasts many fine colleges, Notre Dame and Northwestern among them. Located in the geographic center of the country, the region is home to more than 66 million people. The Kellogg School of Management at Northwestern University provides students with flexible options to achieve their Master's of Business Administration degree. The part-time program meets either in the evenings or on Saturdays to accommodate work schedules. The executive program offers mid- and senior- level executives study in cross-cultural collaboration, leadership and adaptability. The full-time program can be completed in two years, or if students have a solid business undergraduate degree, then they may complete the graduate program in one year. The Stephen M. Ross School of Business at the University of Michigan also has a variety of options for completing their MBA program. They place emphasis on gaining global business experience through a seven week, hands-on project for international markets. For those students interested in sustainability, they offer a dual program via The Erb Institute in a collaborative effort with The School of Natural Resources & Environment. In addition to the top-ranked, two-year MBA program, Indiana University's Kelley School of Business also offers their program fully online as well. Students can tailor their courses to meet their individual needs and finish the program at their own pace. They also offer dual degree opportunities in several related disciplines, such as Strategic Management or Entrepreneurship and Innovation. Generally, a dual degree can be earned by completing only 12 additional credit hours. The Max M. Fisher College of Business at Ohio State intentionally keeps their program small so that they can devote time to getting to know their students intimately. Their goal is to maximize each student's potential, and they provide a variety of programs, dual degree opportunities, and in-depth study so that students are prepared to work in a global market. The Wisconsin School of Business at Wisconsin University is all about focus and specialization. Rather than being admitted to a general MBA program, students select one of 10 highly specialized majors, based on their ultimate career goals. The program follows an applied model of learning, so students gain first-hand experience in the working world. The University of Notre Dame's Medoza College of Business also keeps its class size small and provides individualized attention. They offer an accelerated one-year program in addition to the traditional two-year; both provide opportunities for students to study and work in China, Brazil or Chile if they desire. Students also have the opportunity to work closely with leading Indiana companies to come up with solutions to real-world problems. In addition, to the typical MBA program options, the College of Business at Illinois offers students a unique online program, called the iMBA, that allows students to take blocks of courses centered around particular specializations. Each completed specialization earns a certificate, and completion of all the specializations earns the Master's of Business Administration degree. This provides significant flexibility for students who want to explore different career paths without losing hard-earned credits. Michigan State University's Broad College of Business is one of the top-ranked schools for education and job satisfaction. They emphasize a global approach to learning and a strong work ethic. Students are given the opportunity to work with major corporations to come up with innovative ideas and solutions for real business challenges. The program is offered full-time only, but they do have an executive MBA that working students can attend on weekends. The Krannert School of Management at Purdue University has a reputation for excellence. They place a strong emphasis on mentoring relationships throughout the program with both faculty and alumni and closely supervise their enrollees to ensure that the develop leadership and other skills necessary for success. In addition to the traditional MBA program, they offer a part-time weekend program, and executive program and an accelerated one-year program for STEM professionals. The Carlson School of Management at the University of Minnesota offers both full- and part-time opportunities to earn the MBA degree. The part-time program is a hybrid, including both online and on campus classes. They also offer a one-of-a-kind industry MBA for people who are serving in a congressional role who want to advance their legislative careers. The University of Iowa's Henry B. Tippie College of Business is proud of its three-to-one faculty ratio. In their program, you are not just a number. Their placement rate for graduates was 98 percent for 2015 and they provide experiential learning opportunities across the globe. They also encourage their students to participate in case competitions, which bring together students from top business colleges to practice their analytic, presentation and teamwork skills. Many of the top business programs in the West are located in California, but there are some offerings from Washington and Arizona as well. The Haas School of Business at the University of California's Berkeley campus offers its students a full-time, on campus program that focuses on creating innovative leaders. Going beyond the basics of business, they strive to provide students with experiences that let them introduce fresh ideas into every aspect of business in a responsible manner. They send about half of the program participants to a variety of countries each year so that they can gain experience in working with international companies. The USC Marshall School of Business at the University of Southern California has several unique offerings, in addition to their traditional two-year MBA program, that are designed to meet a variety of student needs. In addition to the executive MBA and other accelerated programs for working professionals, they offer a global MBA that meets in Shanghai, Los Angeles and at least one other Asian country. The program meets for 13, five-to-eight-day sessions over a 20 month period. The University of Washington's Foster School of Business in Seattle has two program offerings: a full-time, two-year, on campus degree and an evening, on-campus program that takes three years to complete. The program has a lot of flexibility and students are encouraged to build their own curriculums to balance a variety of learning experiences, including independent study, study abroad, team projects and research. In addition to the traditional, on campus MBA program at Arizona State University, the W. P. Carey School of Business offers students a lot of flexibility for completing an executive MBA, a part-time, on campus MBA, and an online MBA program as well. For companies that are interested in having their employees gain further education and experience, they will develop a customized program, directly related to the specific business. They boast a tight-knit community and provide ample support for students who are managing both work and an academic career. The Paul Merage School of Business at the University of California's Irvine campus is a relatively new program but has consistently ranked in the top 10 percent. They attribute their success to stringent student recruitment, exceptional faculty and a dynamic curriculum. They have four program offerings that meet the needs of traditional students, employed entry-level executives and seasoned business professionals. They also offer an executive MBA specifically for health care professionals. The University of California's Los Angeles campus houses the Anderson School of Management that offers a variety of flexible programs that promise an outcome-focused approach to education. They have more than 200 companies that recruit their graduates and offer exciting opportunities for global studies as well. Their accelerated programs include a five-year MBA for undergraduates studying at the University of New Mexico as well. The Graduate School of Management at UC-Davis provides both full- and part-time MBA programs. Their dynamic program has consistently ranked in the top 10 percent for 20 years and students have ready access to a variety of Fortune 500 companies as well as networking opportunities in the Silicon Valley. They offer several concurrent degree opportunities including dual degrees in nursing, environmental sciences, law, veterinary medicine and a host of others. Like the North East, the colleges in the South are steeped in tradition and are spread out across the entire southern region, from Virginia to Texas. The Fuqua School of Business at Duke University in North Carolina promises to train and educate a new generation of professionals who have a 360° perspective and who will develop into leaders of consequence. Their daytime Master's of Business Administration is presented in a traditional, on campus format, but they offer both an executive MBA and a global executive MBA for working professionals on a part-time basis as well. 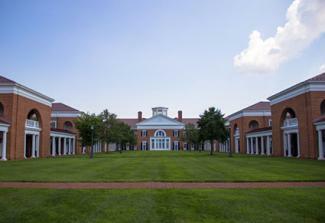 The Darden School of Business at the University of Virginia utilizes the case method of teaching to ensure that their graduates are primed and ready for real-world business applications from the start of the program. Students are placed in learning teams where they analyze problems and work toward a resolution together. Professors act as guides through the process. There are several MBA options to choose from, including both full- and part-time programs for entry-level to executive level students. The University of North Carolina's Chapel Hill campus houses the Kenan-Flagler Business School's MBA program whose goal is to develop agile and principled leaders who understand the bottom line, but also work for the greater good. The intensive program emphasizes teamwork, active learning and camaraderie among its students. In addition to the full-time, traditional program, they offer evening, weekend and global MBA programs. The McCombs School of Business at the University of Texas' Austin campus develops business leaders by honing four key elements: knowledge and understanding, integrity and responsibility, collaboration and a broad view of business and society. Their hands-on approach provides student plenty of opportunity to develop strong leadership skills. They offer both full- and part-time programs as well as an executive MBA. The Goizueta Business School at Emory University's Atlanta campus provides a world-class business education in the context of an intimate learning environment on a large, urban campus. Core courses are completed during the first semester, and then the program can be tailored to student's individual goals. There are lots of opportunities for internships in order to get hands-on experience. The McDonough School of Business in Washington D. C. trains it students in the fundamentals of business via an integrative curriculum that goes beyond the classroom. The Georgetown University program develops business leaders that will positively impact society, and they provide a variety of programs to meet this goal for students at all levels of experience. The Vanderbilt Owen Graduate School of Management in Nashville, Tennessee places a strong emphasis on developing a specific leadership style that aligns with the student's learning style and career goals. Their Leadership Development Plan, which progresses throughout the academic program, allows students to take advantage of faculty and peer mentoring as well as feedback in order to develop core skills and strengths. The Jones Graduate School of Business at Rice University in Texas provides students a core business foundation while immersing them in real-world business scenarios from the first class. They allow their students to develop specialized concentrations during their tenure so that they can develop expertise in their chosen career field. They have several dual program offerings in engineering and the sciences. The Mays Business School at Texas A&M University places their program emphasis on applied learning and an accelerated curriculum. Students complete most of their core courses during the first year and then go on to explore internships, study abroad and/or other experiential learning opportunities. Rather than a full two years, this program can be completed in 16 months. The program is small and personalized, admitting only two 40-student cohorts each year. The Scheller College of Business at the Georgia Institute of Technology focusses on technology as the driving force in the business world. Most of their MBA candidates have at least a few years of business experience before beginning the program, which runs for 22 months and provides both classroom and hands-on learning opportunities. The Hough Graduate School of Business at the University of Florida gives students the three options for completing the MBA; a two-year program for those who desire a traditional educational experience or the option to complete either a 10 or 12-month program for working professionals. The accelerated programs are offered online and/or on campus. At Southern Methodist University's The Cox School of Business, they offer a 22-month program that allows students a great deal of flexibility in charting their career trajectory by providing a diverse array or coursework. Students can elect to attend one of their partner universities in Asia, Australia, Europe, or Latin America as part of an exchange program. They encourage their students toward making a positive impact on the global business world and are highly selective. For those with wanderlust, or who may ultimately want to settle and work in these countries, these are the top three international schools located in England and France. The London School of Economics and Political Science offers a cutting-edge alternative to the traditional MBA; an Executive Global Master's in Management degree. This 17-month program is offered on a part-time basis for working professionals and includes seven classroom modules that take place in London, China and India. The class size is small and they require at least three years of professional work experience prior to admission to the program. The Saïd Business School at Oxford University aims to train their graduates for fast-track business careers through an accelerated, one-year program that emphasizes both classroom and case work learning experiences. The degree provides students with solid a business foundation and opportunities to specialize through elective courses and projects. The École des Hautes Études Commerciales Master's of Business Administration program at HEC Paris allows students to develop a highly rigorous and specialized education that aligns with their unique goals. The program spans 16 months; the first eight are spent acquiring core skills, and the second eight on completing your customized program based on personal aspirations. Their is a strong emphasis on developing leadership skills in this program and students are coached on career building strategies throughout the program. In order to make your best choice from these top schools, you will want to consider factors that go beyond academics and cost. Consider the climate, the size of the program, the level of personalized attention you want and any other factors that may be important to you, like the cultural diversity of the campus, or whether it is located in a rural or urban setting. If at all possible, visit the campus prior to enrolling, and try to sit in on a class or two. Insights you gain from making a personal visit will help you get a feel for the program and ensure that you make the right choice for you.